Some time ago, I looked through a lot of old pattern when I saw this lovely pattern called «Almefrø» in Norwegian (Elm tree seeds). 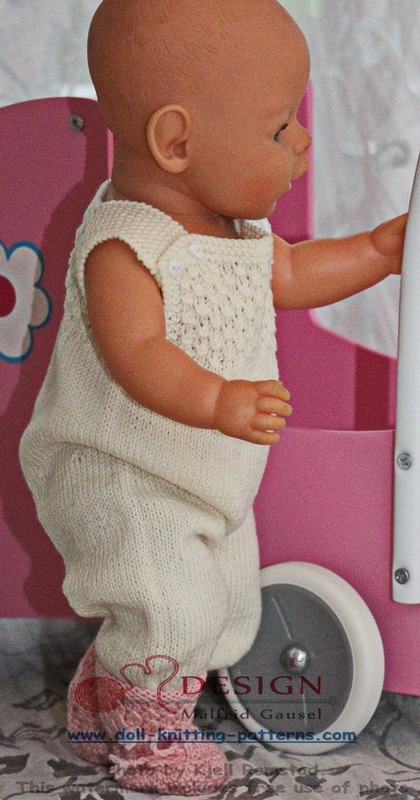 As soon as I saw it, I thought this was something I could use for new clothes for my baby doll. I saw this lovely pattern called «Almefrø» in Norwegian (Elm seeds). 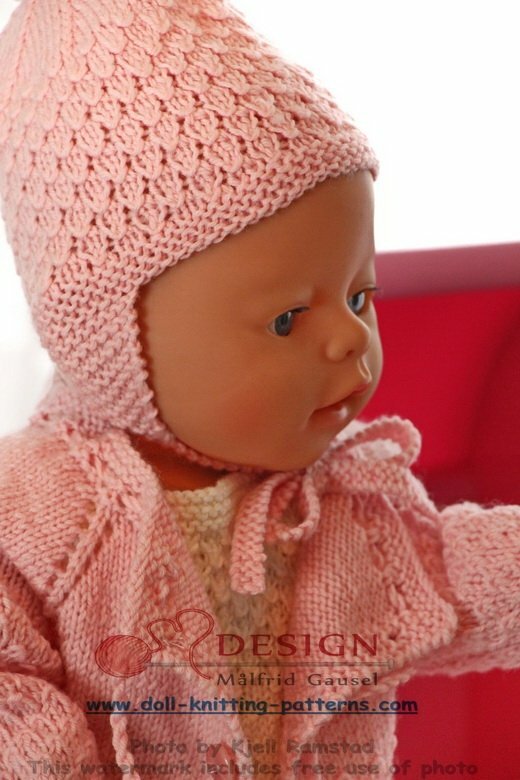 As soon as I saw it, I thought this was something I could use for new clothes for my baby doll. 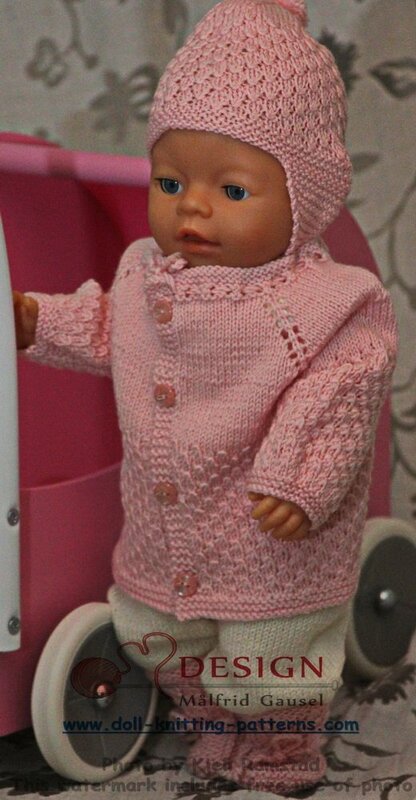 ... a cardigan for my doll. I have knitted this cardigan from the top around the neck; the raglan is increased by yon. I have done increases like this earlier and it looks nice. The cardigan gets no seams and it is very good to wear. Lovely for small babies I think. 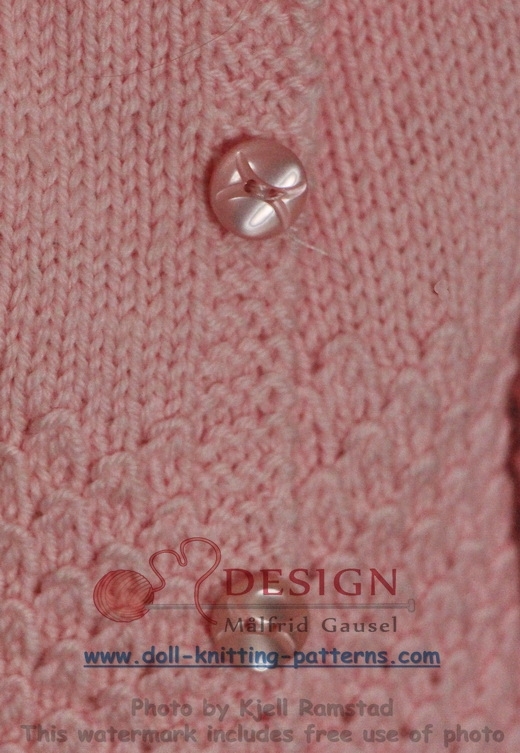 The cardigan is knitted “a little bit large” and hold in by a chord round the neck. The cardigan gets no seams and it is very good to wear. Lovely for small babies I think. 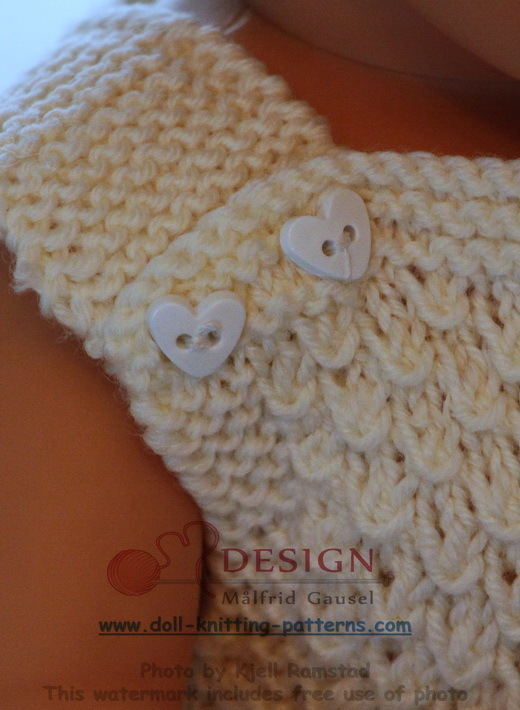 The cardigan is knitted “a little bit large” and hold in by a chord round the neck. ... a cap. This cap fit both “a girl and a boy doll”. It is warm and keeps the ears warm. 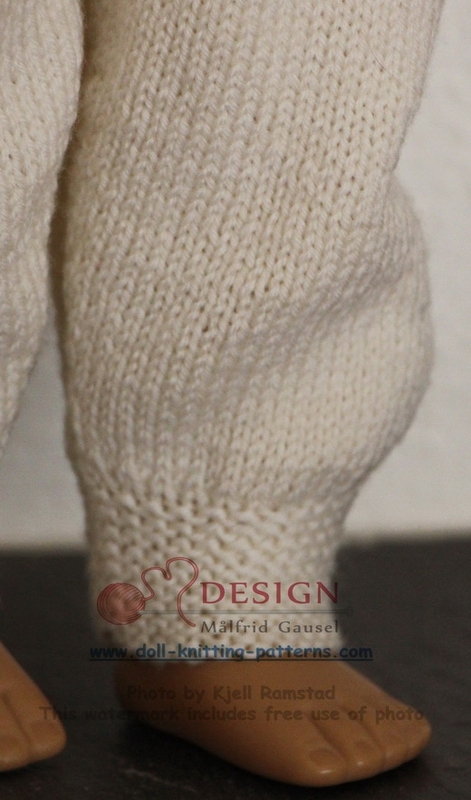 The bands are knitted in garter sts. 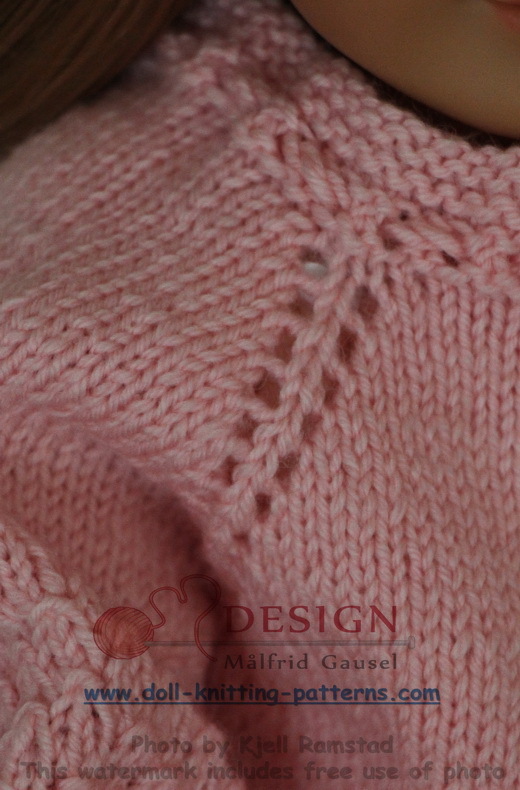 Lovely, warm socks are also knitted in this pattern. The socks are long legged and sit well on the foot. 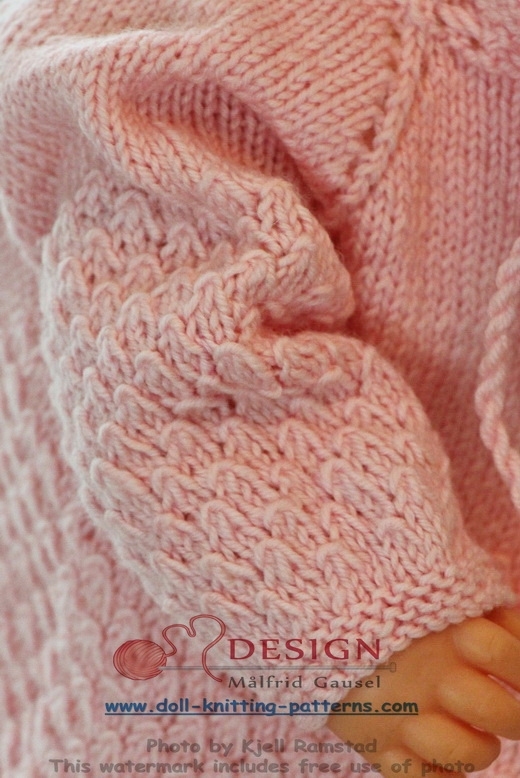 Of course you can knit the garment in any color you like. ... the garment in any color you like. These pants are wide and kept together with a yoke in the same pattern as the cardigan. 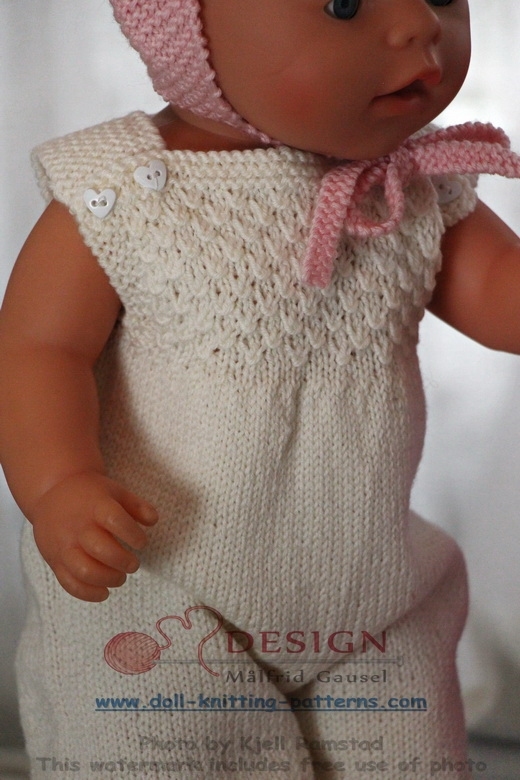 When this garment were finished and I dressed my doll, I think she was very cute. What do you think? Lovely warm clothes to wear. Beautiful! 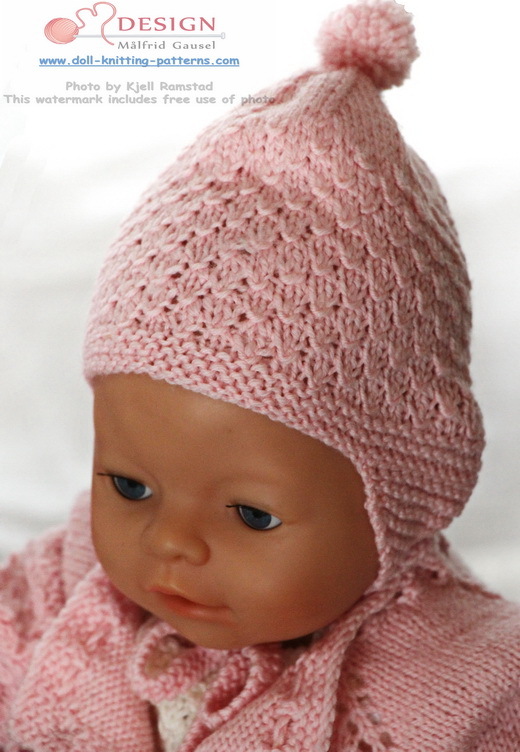 I hope you will like them too and start knitting! I have knitted this cardigan from the top around the neck; the raglan is increased by yon. I have done increases like this earlier and it looks nice. As I did not have more yarn in pink, I decided to knit pants in white. 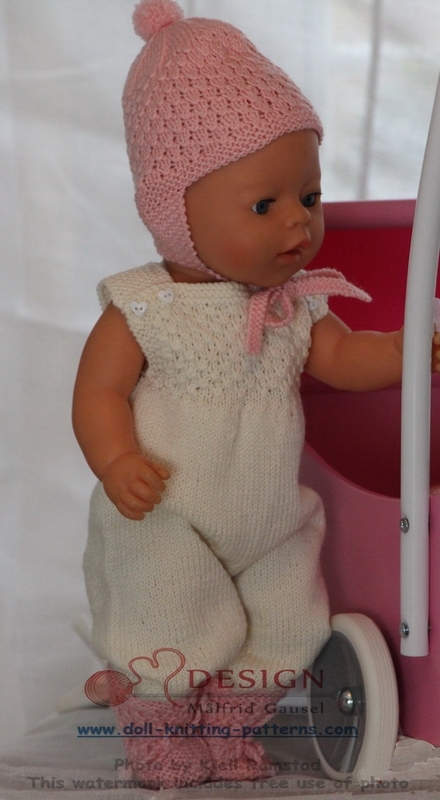 White and pink colors are nice together for a baby. These pants are wide and kept together with a yoke in the same pattern as the cardigan.